Though this 2019 BMW 8 Series Convertible M850i shares similar drive-line technology and engine with the coupe version but the feel of an open roof flowing through corners is quite massive. Read on! A Riviera specification flagship was definitely on the car when BMW made the official announcement on the return of the BMW 8 Series. This news hasn’t come much of a surprise to us on Naijauto since the model has a similar dynamism with Porsche 11. When it comes to level of space and opulence, it is often likened to the two-door formidable Mercedes S-Class. Generally speaking, whether it is closed roof or open air, the sense of appeal with this new 8 series is quite breathtaking. 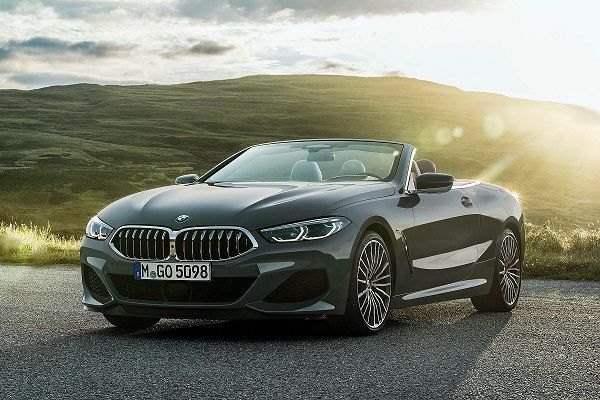 The 2019 BMW 8 Series Convertible M850i xDrive which comes at a starting price of £107,000 (₦50.4m) has a clear representation of one half of the earlier convertible line-up. Its other half is an 840d xDrive (M Sport) which features an ultimately smooth and economical six turbo-diesel (3.0-liter) in a BMW’s M-badged derivative with over 600 horsepower. The drivelines adopt the wholesale from the coupe. 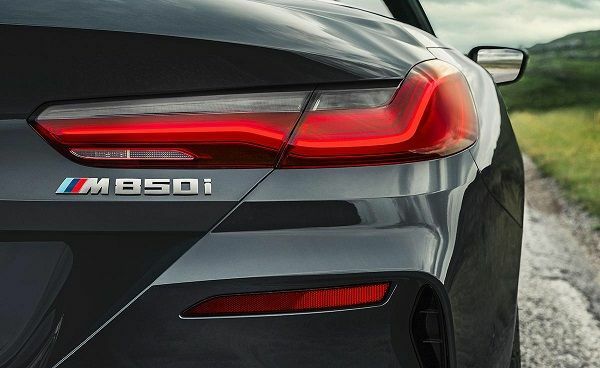 This implies that the 2019 BMW M850i will be equipped with a tractable (4.4-liter) twin-turbo V8 engine with the generative capacity of 523bhp in a 553 Ib ft of torque. The convertible is not forgoing anything to its coupe despite additional bracing and hydraulic roof system that leads to 1890 rise in kerb weight to a stocky 2015kg. This also means nothing will be left out for it couple sibling when it comes to straight-line speed with an additional 0.2 seconds to the 3.7seconds acceleration from a standstill of zero to 62mph. With just cost of £107,000 for this convertible beauty-totally worth it! Just like it features in its coupe, BMW is giving us similar feel of road handling by prioritizing the sure-footed stability over the simple adjustability which is being used in Aston Martin DB11 Volante. Although, it might not seem like the most expressive device, but it promises optimal confidence that even the S-Class compatriot wished it had it. 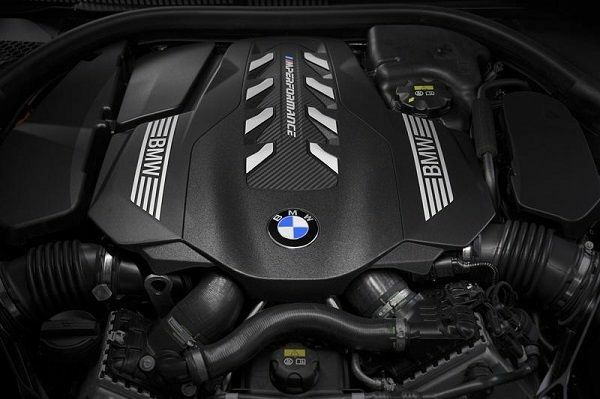 When you are talking about efficacy, response and sheer brute thrust, this new model from BMW with its twin-turbo V8 engine must surely be one of the best you can get in the market whether the company is tuning its exhaust for performance and status warrant character or not. 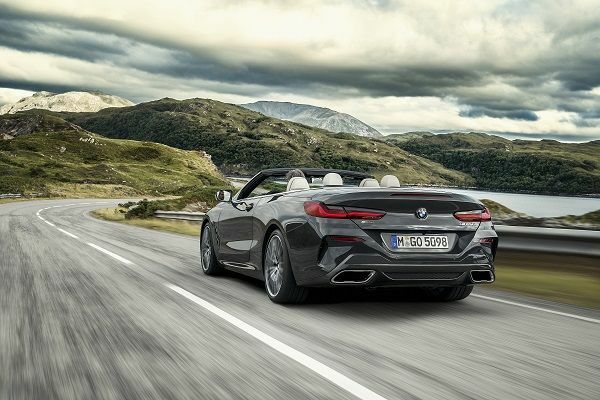 One of the areas to look out for in this new BMW Convertible is in its dynamic repertoire, which is easily broad too. Talking of the adaptive, it features M sport steel-sprung suspension which is firm with a decent vertical movement, which seems sympathetic enough considering their limited scope. The car is a little bit sophisticated because of the presence of air suspension. But its big body movement has put into resilient and effective test for a two-tone cabriolet. It is very easy to indulge the natural balance of the car since it drips of excessive grip and traction. When put on simple form, it means you can confidently carry big apex speed without much fear considering the size. 2019 BMW 8 Series Convertible (M850i) - The Best Luxury Cabrio? With its roof down, it permits 15 seconds at speeds up to 31 miles per hour. At the same time, there is much of an exposure with the elegant rear deck and the turbulence of the cabin, which has been quelled properly. Its artificial steering feel is flawless. 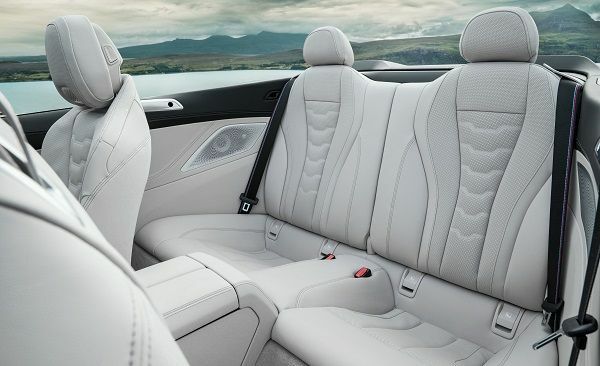 With its canvas roof stowed away, when you take the 8-series convertible through corners at maximum of eight-tenths commitment, you get to experience its best driving experience. Is it worthy to buy? Oh yes! When you get one for yourself, you are forgoing some practicality like almost all convertibles at there. Boot space is 70-liter down at 350 liters on the coupe but when it comes to the convertible, you will be paying more for premium of experiencing such as the natural feel through watching the scenery go by and incredible smell. Another thing that would convince you is the fact that it uses diesel, which we all know to be economical and also, star of the range.